03:05:00 Makes 2 cups or 16 servings, 2 Tbsp. each. 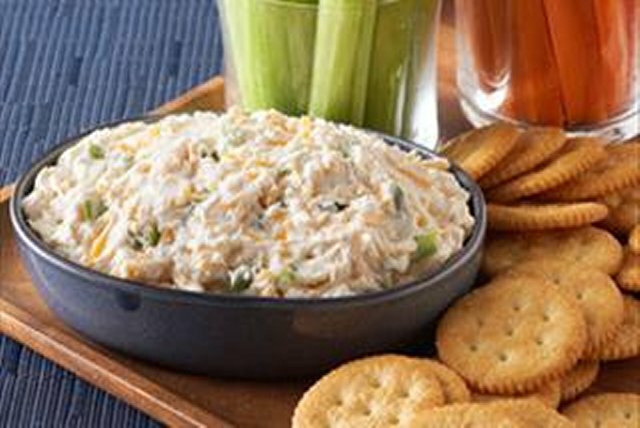 Serve this flavourful cheese dip on game day with crackers and your guests will all be winners! Beat cream cheese and dressing in medium bowl with mixer until blended. Serve with your favourite crackers and/or cut-up fresh vegetables. Serving Size Makes 2 cups or 16 servings, 2 Tbsp. each.